Meat Is Mostly OK, If Cooked – Eating meat, including poultry, will for the most part, not pose any problem, though there are some exceptions. The general rule here is to eat only meat that has been cooked and is at least medium well done, or better yet, well done. 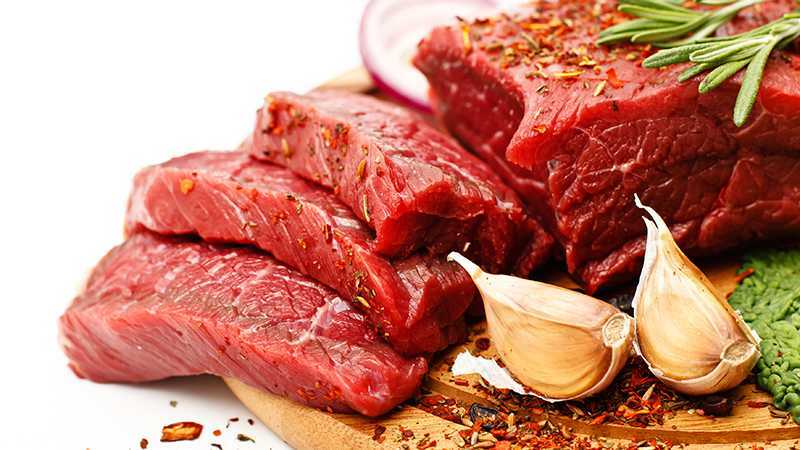 Meat that is undercooked, or raw, can be a nesting ground for bacteria, particularly if not refrigerated, and can also play host to nasty little things like Toxoplasma, a parasite, salmonella, and E-coli. The Toxoplasma parasite is not particularly common, but if present, could cause serious health problems to the fetus, and in rare cases could cause stillbirth. Even sliced meat from the delicatessen should be heated, as a precaution, to kill off any bacteria. The same applies to wieners, make certain they are cooked well. In general, when preparing meat at home, keep it refrigerated and don’t allow it to sit on the counter and warm up to room temperature. Start preparing it while it is still cool. Some recommend removing the fat from fresh meat before preparing it. Fat tends to concentrate and store chemicals animals ingest, including elements which may not be all that good for you. 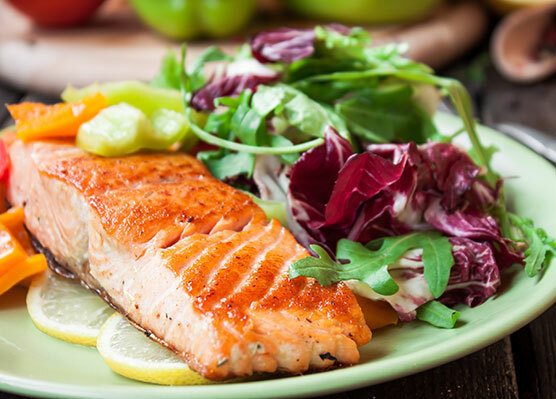 One of the seemingly complex types of foods to avoid during pregnancy is fish. You’ll hear that certain fish should be avoided; others are perfectly safe to eat, while still others are in somewhat of a gray zone, as far as safety is concerned. The culprit in many cases is mercury or methyl-mercury. Ocean-dwelling fish, in particular, ingest mercury from the plant life they eat, or from smaller fish as the mercury makes its way up the food chain. Mercury is one of those elements that simply accumulates in a fish or a person, and at some point you get to have too much of it in your system, and it will begin to cause problems, particularly in the baby’s developing brain and nervous system. Farm-raised fish should be avoided for a different reason. Farm-raised fish can contain cancer-causing agent, polychlorinated biphenyls, PCB for short, which is more prevalent in fatter farm-raised fish than in their wild counterparts. Fish is, of course, rich in omega-3 fatty acids, and other nutrients you need during pregnancy and is, in general, a very healthy food, which you should eat plenty of, even when not pregnant. 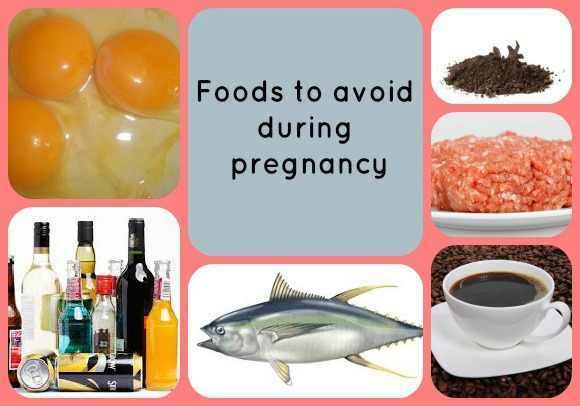 So don’t avoid fish entirely during pregnancy, just eat the right varieties. Fish best avoided are the larger saltwater types such as swordfish, shark, tuna (steaks and canned), cod, mackerel, and grouper. Also, avoid farm-raised catfish and farm-raised salmon, don’t eat sushi or smoked fish either. What you can eat, and feel good about, is wild salmon, shrimp, sea bass, lake whitefish, and catfish (as long as it is not the farm-raised variety). Some sources say to avoid shellfish, while others say shellfish are fine as long as they are well cooked. So, cooked clams and oysters should be fine; raw oysters are out. Light canned tuna is considered safe while tuna itself has a rather bad reputation. If in doubt, you may wish to avoid tuna completely. Almost right, but there are a few items best to avoid. Generally speaking, any vegetable is going to be good for mother and baby. As far as vegetables are concerned, the one big problem is with pregnant women who are vegetarians. Vegetarians don’t always get enough of certain nutrients, such as calcium, which is all important for having a healthy pregnancy. But that’s another subject. The only vegetables which should be avoided are sprouts. Sprouts have a tendency to be contaminated with E-coli, or other bacteria. It’s not that all other vegetables are guaranteed safe, witness the recent E-coli scare in which lettuce was involved. You can’t go through life though worrying about every vegetable. A good idea might be to subscribe to an online newsletter that monitors the food supply and alerts you if there is a specific food item you should avoid for a period. It’s a bit of a different story with herbal teas. Considered healthy, several of the herbal teas are in the category of foods to avoid during pregnancy. 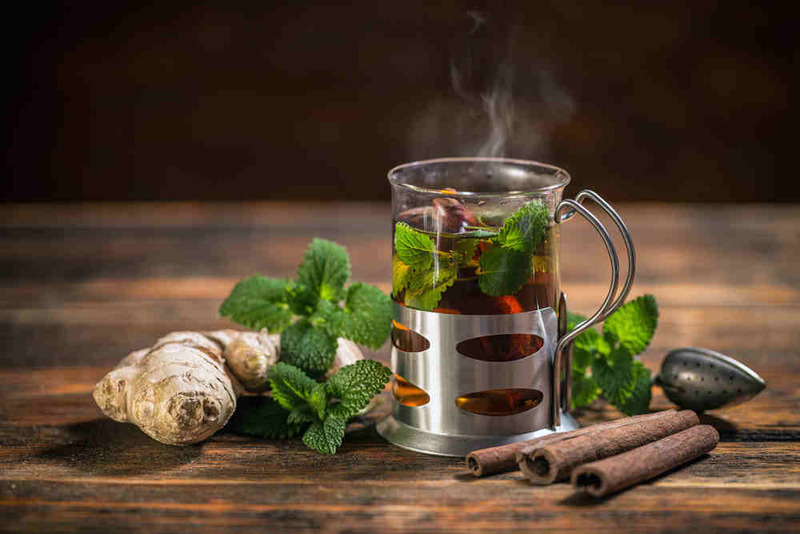 It is recommended that ginseng, raspberry, and green teas be avoided, while ginger and mint teas are perfectly fine. It would make things simple to just tell you to avoid processed foods altogether, but that might be very difficult to do during a pregnancy, plus many, and probably most processed foods, are perfectly fine to keep in your diet. We’ve already mentioned meat, but processed meats often contain nitrates, especially cured meats, and sausages. You don’t have to eliminate them from your diet, just go easy on them. The same for artificially sweetened drinks. While they haven’t been proven especially harmful, they usually aren’t very nutritious either. You’d be better off switching to fruit juices, just make certain if it is fresh fruit juice, it has been pasteurized. Monosodium glutamate (MSG) is one food additive that should be avoided, as is the case with certain food colorings – red 3, green 3, and blue, plus Olean, and saccharin. 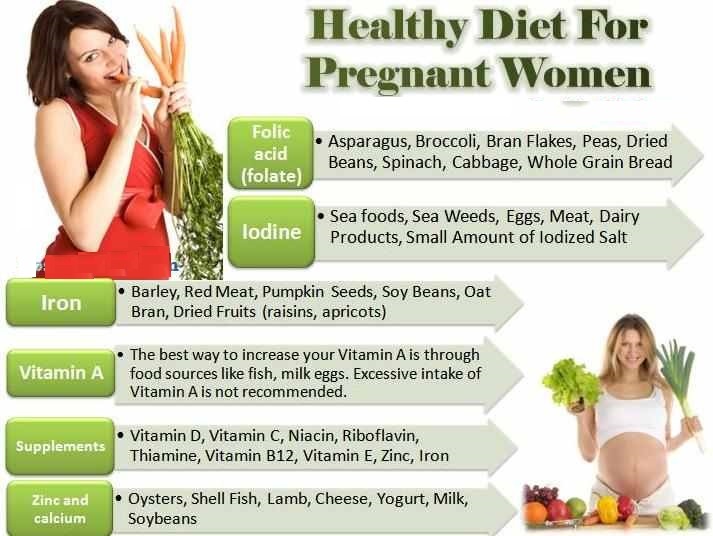 You should be able to look at these guidelines and design a healthy diet to take you through pregnancy. Cook your meat well, avoid certain types of fish, cooking the good kinds well, hard boil your eggs, stick to hard cheeses, eat all the veggies you want (except sprouts), and continue to enjoy your morning cup of coffee. Have you ever asked yourself this question? “what foods should I avoid while pregnant” or “what foods should I avoid during pregnancy“? If you had asked yourself this question, then you’re the “best Mum,” because you certainly cared for the health of your baby. Good news is, you’re not the only one asking yourself this particular question, because countless of other pregnant women before you, have asked this questions and more pregnant women in the future would love to know which foods to avoid during pregnancy. Why Are There Certain Foods To Avoid During Pregnancy? On the surface, it would appear that foods to avoid during pregnancy would be anything that could directly harm the unborn child. That is true of course, but certain foods can cause problems for the mother-to-be as well. We’re talking about feeding two people here, and we want to ensure that both are protected against harmful agents that could arise from certain food items. In some cases, foods ingested contain substances that are passed directly through the placenta. In other words, what you eat, the baby eats as well. One of the foods to avoid during pregnancy, which the baby “eats” as well, is alcohol. It’s recommended that alcohol is avoided entirely during the first trimester, and consumption is kept limited during the second and third trimesters. While an occasional social drink may not harm, it isn’t helping the baby either, and too much can cause problems in a child’s development following birth. Eating foods containing harmful bacteria can also harm the baby directly. The other reason to avoid certain foods is to protect the health of the mother-to-be, and by extension, protect the baby as well. When a woman becomes pregnant, her immune system is weakened, and she becomes more susceptible to bacteria-caused diseases or infections. A woman’s metabolism also may change, making her more at risk of contracting food poisoning. While vitamins are usually associated with good health, a pregnant woman needs to avoid an overdose of certain vitamins, especially vitamins A and E. For these reasons, certain foods are either considered to be off limits, or should be eaten infrequently or in small amounts, and vitamin A and E supplements should either be avoided, or taken only if the doctor says it will be OK to do so. Can’t I Eat Anything That Tastes Good? 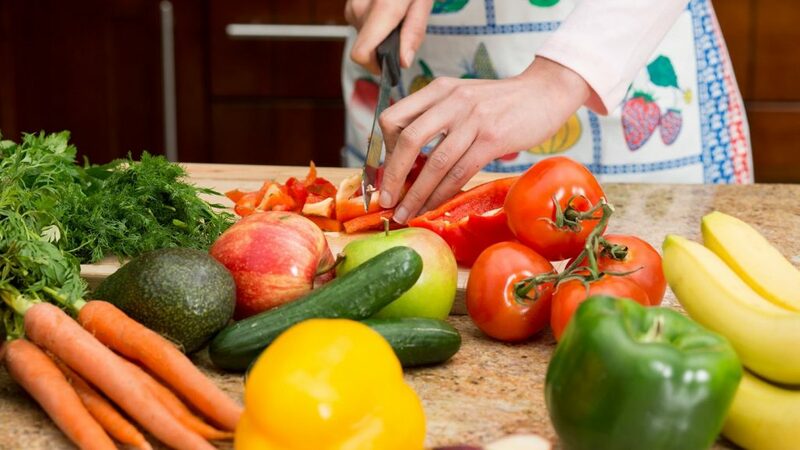 – Anytime we are told that there are some foods we should avoid, and the list is fairly long, we immediately assume that the list contains all the good foods we enjoy, and what we will be left with is a bland or uninteresting diet. Nothing could be further from the truth. As we progress through the list of foods to avoid during pregnancy, you’ll find that, for the most part, these are foods we might be better off with anyway. In short, fresh foods are usually much better for us than processed foods, and processed foods are one of the things we need to watch out for. Not all processed foods of course, but some. Caffeine – Let’s start with breakfast and the breakfast cup of coffee. Some studies say that a couple of cups of coffee a day will be perfectly OK (a pot or two a day, probably not so good). Others indicate a possible link between high doses of caffeine, and the risk of miscarriage, with two or more cups of coffee a day being considered a high dose. Also, caffeine prevents the body’s absorption of folic acid and iron and interferes with the body’s use of calcium, three elements essential to good health. Coffee is hard to do without it you have it every day. It probably isn’t going to hurt to have an occasional cup, or even a coffee mocha (chocolate also contains caffeine by the way), but it would seem to be a good idea to either cut back or switch over to decaf. You might not like the idea at first, but after a while, you’ll probably agree that decaf can taste pretty good. The same applies to colas and energy drinks. Drink decaffeinated soft drinks and consider abandoning the energy drinks while pregnant. You can get the energy you need from a healthy diet. Eggs – You don’t have to avoid eggs, just raw eggs or eggs which have not been completely cooked (that includes eggs cooked sunny side up). Hard-boiled eggs are obviously safe. The reason to avoid raw eggs is that they may contain salmonella, a bacterium which can be a really bad customer. Avoiding raw eggs means also avoiding dishes that may contain raw eggs, such as certain salad dressings, or anything that includes raw eggs and is not cooked. By all means, keep eggs, the cooked variety, in your diet, especially Omega-3 eggs if available. They’re good for you, and your baby. Cheese – The usual advice given as far as cheeses are concerned is that when pregnant, hard cheeses are fine, soft cheeses should be avoided. Another bacterium is in play here; one called listeria. Hard cheeses are OK as the aging process (for cheddar for example) naturally kills off listeria. Cheeses to be avoided then would be such delicious times as Camembert, Brie, and Blue cheese. That’s no fun at all, but, if a soft cheese has been pasteurized, it’s OK to eat. So just read the label, and if you want your Camembert, make certain it’s pasteurized. Otherwise, it’s off limits. The potential problems trace back to the woman’s weakened immune system, and therefore a greater potential for listeria to cause problems.